Lamborghini has been known to redefine the definition of ridiculous and outrageous time and again. From the jet fighter like Egoista to the roofless, screenless Aventador J, the raging bull has always outdone itself. But all of these examples of ridiculousness have always been reserved for Sant Agata’s own museum floor. But not anymore. 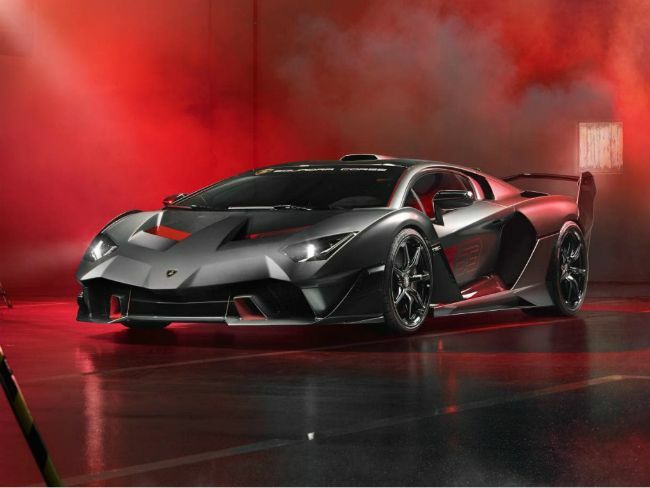 Living up to the outrageous tag, Lamborghini has announced its own customer one-off program with the unveil of the SC 18 - an Aventador that has been completely transformed by Squadra Corse, the company’s very own motorsport division. In an official statement, the company said, “The SC18 paves the way to further personalized development projects for motorsport customers under the Squadra Corse brand.” An Aventador forms the base for the SC 18 and features ‘extreme’ aerodynamics which have been developed by Squadra Corse specifically for the one-off car. The aerodynamic surfaces draw inspiration from the brand’s experience in Super Trofeo and GT3 racing classes. The front air intakes are reminiscent of the Huracan GT3 EVO, while the sides, rear fenders, fins and air scoops are inspired by the Huracan Super Trofeo EVO. The massive wing at the rear comes with three levels of adjustment, but has to be done mechanically. No electrical trickery here! The engine bay cover boasts of twelve air ducts, a setup inspired from endurance racing which aids heat exchange and better cooling for the V12 engine. The engine powering this monster is the company’s acclaimed 6.5-litre V12 which pumps out 770PS of max power at a sonorous 8500rpm and a peak torque of 720Nm at 6750rpm. Power is transferred to all four wheels via a 7-speed transmission with independent shifting rod, or ISR. The body has been carved out of carbon-fibre to keep weight in check. It features a unique paint scheme with the Grigio Daytona grey with red accents and highlights. The cabin too features a healthy dose of carbon-fibre. The bucket seats are made out of the lightweight material and upholstered in black Alcantara. The SC 18 also gets 20-inch wheels up front and 21-inch set at the rear with specially developed Pirelli P Zero Corsa rubber. It even gets its own telemetry system to monitor its on-track performance. With the SC 18, Lamborghini has taken a page out of Ferrari’s book in deciding to make its very on one-off cars. In all probability we will be seeing more, wilder Lamborghinis from Sant Agata’s stable. The future is bright.